I found this recipe in my Everyday Food magazine and I’ll never use another recipe again. 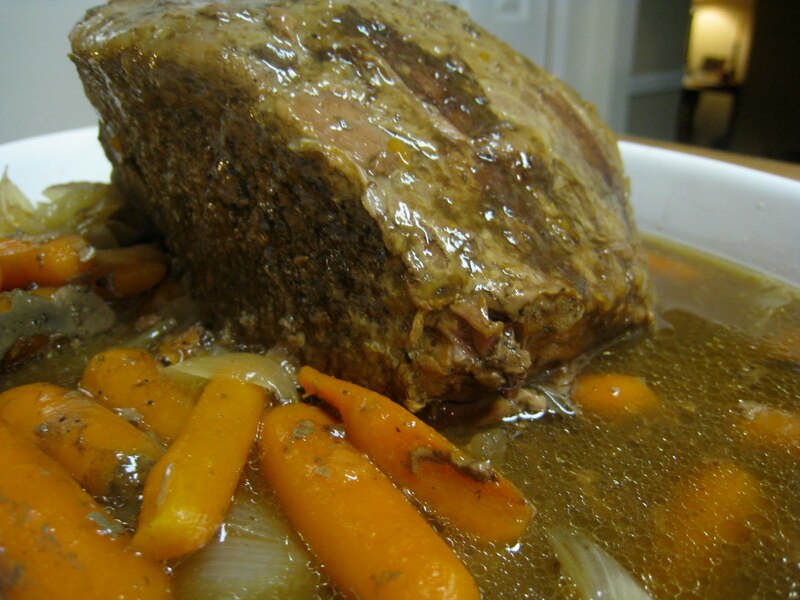 It is completely easy and we love the gravy that is included. We usually have this alongside mashed potatoes, green beans and homemade rolls. Sprinkle roast with 1 teaspoon salt and 1/2 teaspoon pepper; place on top of vegetables, and drizzle with Worcestershire. Cover; cook on high, 6 hours (or on low, 10 hours). Oven method: Preheat oven to 350 degrees. In step 1, use a 5-quart Dutch oven or ovenproof pot with a tight-fitting lid; add 2 cups water. Cover; bake until roast is tender, 3 1/2 to 4 hours. Proceed with step 3.